Many courses are taught by adjunct professors (professionals in their field who teach on a part-time or course-by-course basis). The following professors regularly teach in the Department of Public Relations. 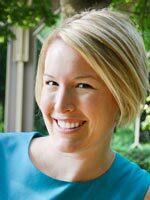 Amelia Bell, APR, CPRC, is a marketing communications manager for RTI Surgical, a leading global surgical implant company providing surgeons with safe biologic, metal and synthetic implants. She is responsible for developing and managing strategic integrated marketing and public relations programs to support marketing plans and corporate goals for internal and external audiences. Prior to joining RTI, she worked at Gainesville Regional Utilities, the Harn Museum of Art and the University of Florida. Amelia has experience in corporate communications including internal communications, media relations and marketing communications. She received a master’s degree in mass communication and a bachelor’s degree in public relations from the University of Florida. 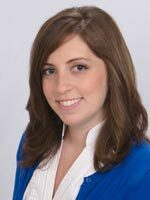 Amelia is a member of the Florida Public Relations Association and received her accreditation (APR) from the Universal Accreditation Board and is a Certified Public Relations Counselor (CPRC). As an adjunct faculty member in the Department of Public Relations, College of Journalism and Communication she teaches Public Relations Writing. Ms. Florida Bridgewater-Alford serves as Campus Communications Outreach Director in the Office of Vice President for University Relations and manages various facets of the University of Florida’s campus communications outreach initiative, including the University of Florida Communicators Network. Previously, Florida served as a traffic/office manager for Bogie Broadcasting Inc. before serving as a member of The Gainesville Sun (N.Y. Times Group) news staff for nearly seven years in various roles including news assistant, columnist, news researcher and staff writer covering the 911 beat. In addition, she was The Sun’s first Web producer/editor and a member of its online redesign committee for gainesvillesun.com, which won re-design awards during her tenure. She is a member of several civic and industry organizations including the National Association of Black Journalists and the Florida Public Relations Association. Professionally, she has served as a judge for the national Bronze Anvil Awards programs, one of the highest national awards recognizing Public Relations tactics nationwide. Her service on several Gainesville/Alachua County and state not-for-profit boards highlights her desire to address the needs of the community at large in the areas of education, health and economic stability. Florida continues to serve on several UF committees, as well. She was appointed to the President’s Council on Diversity in 2008 and help research, edit and craft the group’s Diversity Action Plan. She is the chairman of the Council’s Public Relations committee. She is a member of UF’s Commencement Committee, since 2005. Florida received the 2013 American Cancer Society leadership recognition; 2013 AKA President’s award; 2012 Ebony Appreciation “Pioneer” Award; the 2011 Ida B. Wells Award from the Gainesville Commission on the Status of Women for her advocacy work; the Twenty Pearls Foundation Inc. Chairman’s Award; Gainesville Area Chamber of Commerce Chairman’s Award in 2010 for her work on the Chamber’s Education Task Force – which studied improving graduation rates in Alachua County; and the NPHC 2009 Unsung Hero Award among other recognitions. Florida is a proud UF graduate (BSJ) and received her accreditation (APR) from the Universal Accreditation Board. As an adjunct faculty member in the Department of Public Relations, College of Journalism and Communications she is teaching Public Relations Campaigns. Author of Social PR Secrets and named one of the top 40 Digital Strategists for 2013, 2014 and 2015 by the Online Marketing Institute, Lisa Buyer is passionate and ambitious about how Public Relations, Social Media and Online Marketing influence each other. 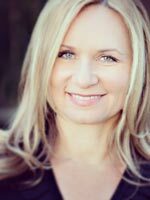 She is President and CEO of The Buyer Group, an interactive public relations and social consultancy located in Celebration, Florida and editor for Social #PR Chat covering trends in Social PR, Mobile PR, Brand PR and SEO PR. A columnist with Search Engine Watch and a regular speaker with PubCon, SES and part of the @ClickZ faculty. She most recently joined the faculty at the University of Florida as adjunct lecturer with the College of Journalism and is teaching the class Social Media Management. Lisa is also a graduate of University of Florida College of Journalism with a degree in Public Relations. Rob Engle is president of Engle & Co. Based in the Washington, DC area, the company provides creative public, government, and investor relations strategies. Prior to forming Engle & Co., Engle served as a press secretary and legislative aide to Senator Paula Hawkins (FL), Congressman Dan Mica (FL), and Congressman Don Ritter (PA). He also served as director of public relations for a large Washington advertising and marketing agency and as head of public relations for a local American Cancer Society chapter. Engle’s company currently provides public relations counsel to a number of leading private and public firms and organizations involved in real estate, construction, development, high tech, consumer goods, and finance. He holds a master’s degree from Harvard University and is also an alumnus of Harvard’s John F. Kennedy School of Government, having completed senior executive studies in strategies of persuasion; he completed his undergraduate studies in journalism/public relations at the University of Florida. 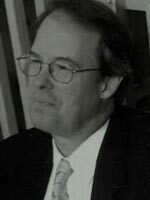 As an adjunct faculty member in the Department of Public Relations he is teaching Public Relations Writing web course. 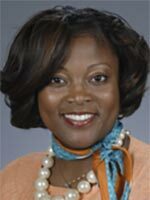 Michelle Hinson is an adjunct instructor in the Department of Public Relations at the University of Florida teaching classes on public relations strategy and writing. She is also sales director of the PR measurement division of CyberAlert, an industry leader in public relations monitoring, measurement and analytics. In 2010, Michelle founded Clear Voice 360, a boutique shop specializing in social media and nonprofit communication. Michelle’s communication career includes stints in healthcare and nonprofit public relations. For more than 16 years, Michelle worked for the Institute for Public Relations (a public relations think tank) in various positions ending as the director of development. She is currently chair and a founding member of IPR’s Measurement Commission and is the Chief Financial Officer for the International Public Relations Research Conference. She is a charter member and a past president of the North Central Florida Chapter of the Association of Fundraising Professionals (AFP). She is also a member of the Public Relations Society of America. In addition, Michelle is co-author of a number of research papers and reports that have been presented at academic and professional conferences. She is a graduate of the University of Florida with a B.A. in sociology and earned a Master’s Degree in Philanthropy & Development from Saint Mary’s University of Minnesota. Michelle is currently a PhD candidate in Public Policy and Administration with a specialization in nonprofit management and leadership at Walden University. Her dissertation is looking at message development and social media use by nonprofit organizations. Michelle pens Michelle Unfiltered—Measurement and Other Things That Make Me Go Hmmmm for The Measurement Advisor. Her 18-year old daughter, Hailey, never ceases to remind her of just how little she really knows. Sora Kim is an associate professor in the School of Journalism and Communication at the Chinese University of Hong Kong. She was a professor at the University of Florida for four years, teaching principles of public relations, crisis communication, public relations strategies, and crisis/risk management for both undergraduate and graduate students. She also worked for DePaul University as a professor. Her research interests include corporate social responsibility communication, corporate communication and crisis communication management. Her work has been published at Journalism & Mass Communication Quarterly, Journal of Public Relations Research, Journal of Advertising, Journal of Business Ethics, Public Relations Review, and other international communication related journals. She has won six top faculty research paper awards from ICA and AEJMC and was awarded a Page Legacy Scholar grant award in 2013. As an adjunct faculty member in the Department of Public Relations she teaches Crisis Communications and Principles of Public Relations a web course. Marian Linda M. Perry, Ph.D.
Dr. Linda Perry earned her Ph.D. at the University of Florida with emphasis on mass communication law. She has more than 30 years of experience in the communication field, including more than 20 years in teaching and research, and several years as a professional communicator and manager in public relations and journalism. She currently teaches the Communication Process in Agriculture and the Life Sciences and Research and Business Writing in the UF College of Agriculture and Life Sciences as well as International Issues Management and Crisis Communication in the College of Journalism and Communication’s Global Strategic Communication program. From 2005 to 2012, Dr. Perry was a visiting senior fellow at the National University of Singapore (NUS), where she coordinated development of the communication management (CM) curriculum and served as CM unit coordinator for the NUS Communications and New Media Department, which was ranked third globally in 2012 by QS World University Rankings. 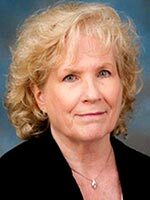 She has taught several undergraduate and graduate courses in public relations at UF as well as public speaking, media studies, journalism and public relations courses at Purdue University and Flagler College. Her areas of expertise include strategic communication, issues management, crisis communication, science communication, public relations principles, public opinion theory, media law, First Amendment theory, access to government-held information, writing for media, message design and visual communication. 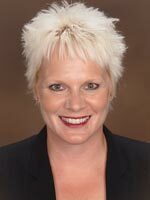 Jorie Scholnik is an Associate Professor at Santa Fe College teaching career development and student success courses. For eight years, Jorie also worked as an Etiquette Associate at the Protocol School of Palm Beach where she gave presentations to college students, wrote articles, and maintained social media accounts on topics related to professionalism in the workplace. She has been published in USA Today, USA Today College, and The Gainesville Sun and has been quoted in LAPTOP Magazine, LEVO League’s career section, MoneyUnder30.com, and VOW Magazine. Jorie was selected to speak in LEVO League’s Office Hours series and at Lowe’s management graduation day. As a double graduate of the University of Florida, Jorie earned her bachelor’s degree in public relations from the College of Journalism and Communications and her combined master’s degree in counseling and specialist’s degree in education. Jorie’s passions include career development, etiquette and international travel. As an adjunct faculty member in the Department of Public Relations, College of Journalism and Communications she teaches Public Relations Writing and Public Relations Research.